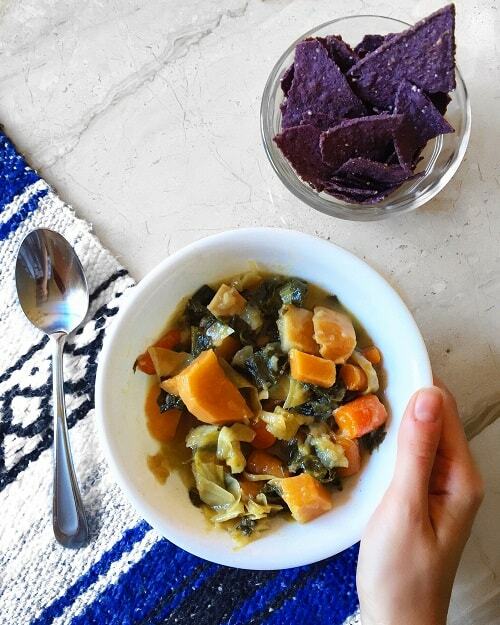 Stew served with a side of blue corn chips for dipping. Slow cooker veggie stews top my list of minimal effort, maximum nutrient recipes. Not to mention they are extremely delicious. 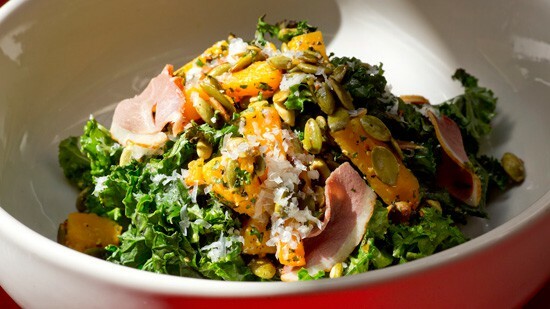 This one uses seven different vegetables with a focus on the roots, including my personal favorite, rutabaga. Rutabaga is the child of turnip and cabbage, and when cooked, it is sweet and savory with the texture of a potato. (Turnip and cabbage are also in this stew, because who am I to separate a family?) I have found rutabaga at the McCarren Park Greenmarket recently, and it is always available at the Union Square Greenmarket. I use arrowroot powder to thicken my stews as a healthier alternative to corn starch. It is flavorless and very nutritious. Still haven’t made New Year’s Dinner Plans? 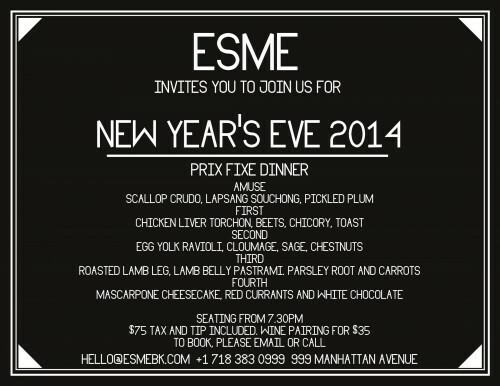 Join Esme tonight for our first ever New Year’s Eve Dinner. 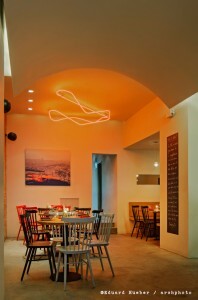 Four courses including an egg yolk ravioli, roasted leg of lamb, scallop crudo and a mascarpone cheesecake. Wine can be paired for $35 or drinks can be ordered a la carte. Vegetarian options will be available and seating begins at 7.30pm. 75 Dollars includes tax and tip. 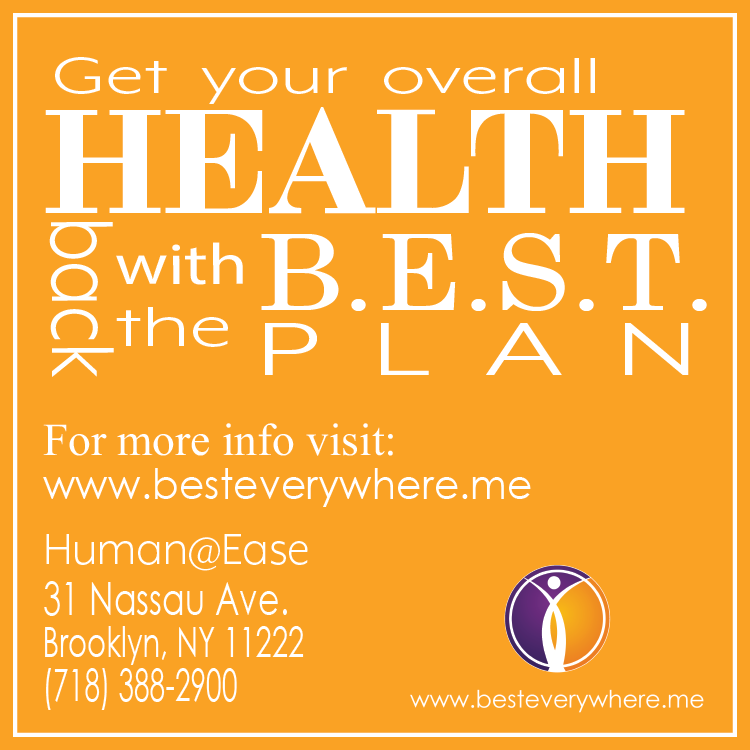 To reserve please call 718.383.0999 or email: hello (at) esmebk [dot] com. Your last meal of 2014 should be delectable with lots of variety, plenty of libations to go around and Italian! 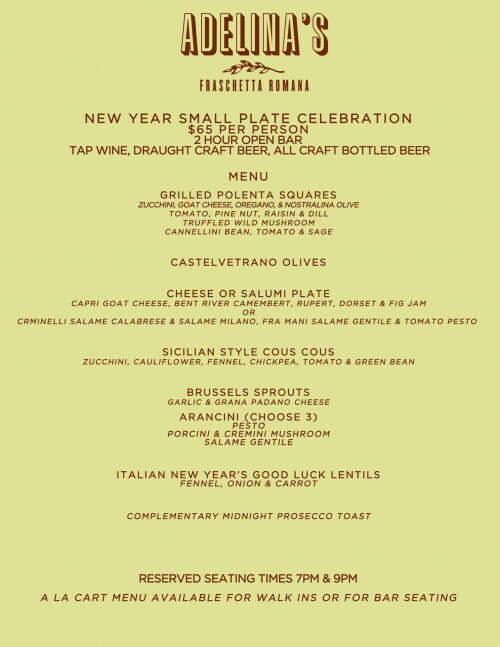 Join Adelina’s this New Year’s Eve for a Small Plate Celebration. There will be two seating times at 7pm & 9pm for a 2 hour, 7 course small plate dinner extravaganza plus an open bar! DJs Ronny-Moo & Tray-Z will be spinning great tunes all night! And don’t forget the midnight complementary prosecco toast! Adelina’s regular a la cart menu will be available at the bar for walk ins. Greetings! On behalf of everyone behind the McGolrick Park Farmers Market, Happy Holiday season. We raise our glass to peace on Earth and goodwill to all. 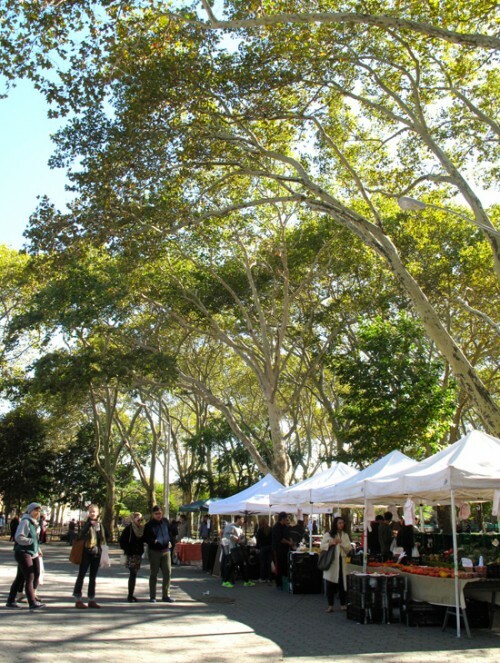 Stop by the market this Sunday, December 28th, and next Sunday, January 4th, 2015 for good wishes and great foods by local farmers and food makers. We are open every Sunday, from 11 am to 4 pm, all winter. It’s warm and cozy at our home inside the Lutheran Church of the Messiah, 129 Russell Street, between Driggs and Nassau Avenues. 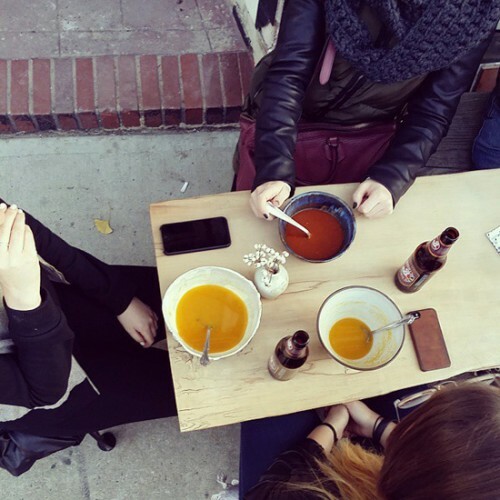 Greenpoint Trading Co. Launches Kickstarter + Party 12/14 w/ FREE BEER! Did you enjoy that amazing mulled wine at the Holiday Market? It was made with mulling spices donated by Greenpoint’s favorite spice, seasoning and rub company. 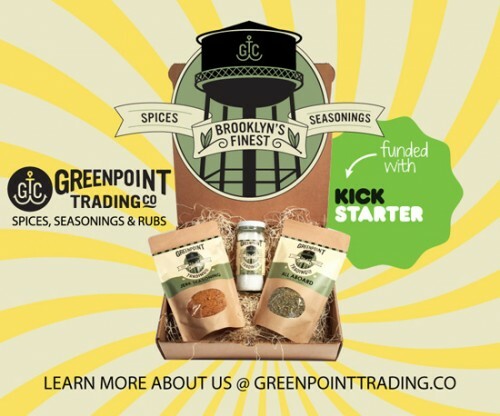 Greenpoint Trading Co.’s has just launched a kickstarter campaign. Their $30,000 goal will be to invest in a build-out of their warehouse, more machines for production, more inventory and more staff. With more inventory and manpower they can take on more customers and expand beyond the East Coast. This Sunday December 14, 2014 from 1-4pm they will be having a fundraiser at Dirck the Norseman (7 No. 15th St). They will be giving away FREE BEER to anyone who donates to their cause. So donate! 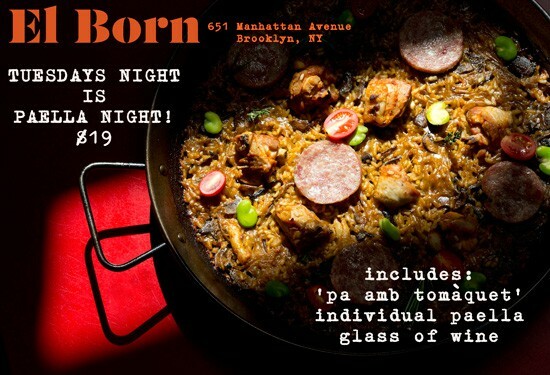 Tuesdays are very exciting at Greenpoint’s tapas restaurant El Born because Paella Tuesdays begins tonight! This great deal will include ‘pan con tomate’, an individual paella and a glass of wine for only $19. Nothing hits the spot more on a cold winter night than perfectly cooked meat, seafood and rice authentically prepared in the traditional Valencian way. Looking for your new favorite brunch spot? El Born is open for Brunch on Saturdays and Sundays from 11am to 4pm. Can’t wait until the weekend? El Born offers a great Happy Hour, too. Stop in anyday of the week from 5pm to 7pm for 50% off “tapas” plus drinks specials that include 2 for 1 Spanish beers and $20 pitchers of sangria, mojito and margarita. Sponsored post courtesy of El Born. Soup Bowl Fundraiser Recap! Donate to Soup Kitchen Today! Thanks to everyone who made the Soup Bowl Fundraiser this past Sunday happen! EAT, Brooklyn Brewery, The Splendid Spoon, contributors Isabel @aobelis & Peter @grizzzly and the following potters: Little Bear Pots, Akiko Tsuji, Rabbit & Dragon, Selene Likes Mugs, Clayspace, Freundeskreis, Cor Pottery, Stephanie Tran, Calyer Ceramics, Bailey Doesn’t Bark, Fisheye Brooklyn, & Object Totem. 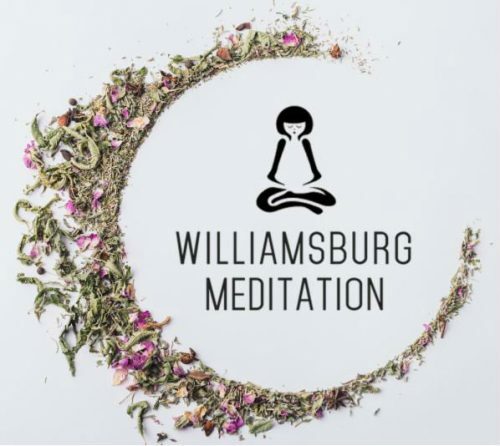 We raised $526 for The Greenpoint Soup Kitchen & Food Pantry, a local organization that feeds hundreds of hungry Greenpointers. Today they are busy making over 30 turkeys for homeless and hungry neighbors. If you couldn’t make it out to the fundraiser on Sunday, why not make a donation in any amount to this important organization at this very special time of year. Can’t get home to the family this Thanksgiving (too expensive, or maybe you just prefer to avoid that all together)? 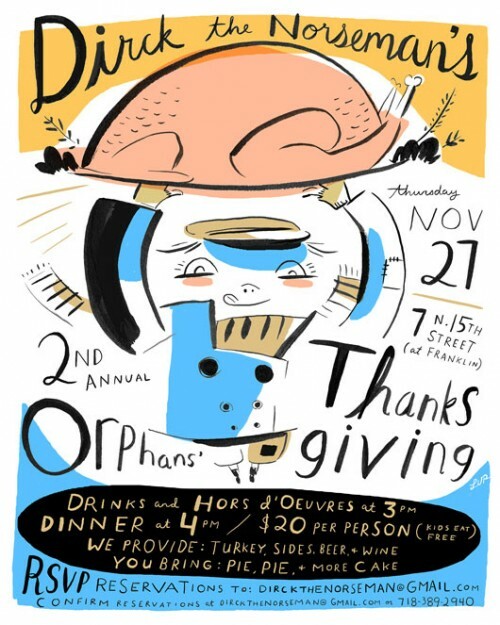 If so, come to Dirck the Norseman’s “Orphan’s Thanksgiving”. Drinks and hors d’oeuvres will be served at 3 pm, and dinner starts at 4 pm. For $20 a person, they’ll fill your plate with turkey, sides and fixings, plus an open bar (beer and wine). Kids eat for free. Guests are invited to bring something sweet to the table (pie, cake, your family’s secret dessert?). To confirm your reservation email dirckthenorseman (at) gmail [dot] com or call 718-389-2940. Limited seating. Sponsored post courtesy of Dirck the Norseman. Brooklyn Meat Club Comes to Greenpoint – Pre-Order Your Thanksgiving Turkey! Brooklyn Meat Club is a neighborhood butcher shop, without the shop. Targeting home chefs, the newest addition to the Brooklyn business scene provides restaurant quality meat at below market prices. 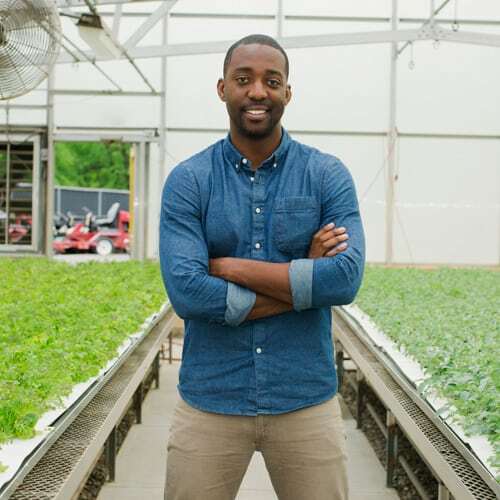 “We work directly with suppliers, plus we cut out almost all of the overhead, so our products are priced to let our customers cook incredible meals 7 days a week,” founder Jorge Viscarra Jr., was quoted as saying. Viscarra has been in the meat supply business for over 15 years, working alongside his father, Jorge Viscarra Sr., the founder of GV Food Service, a thriving family business that has been serving New York for over 25 years. Brooklyn Meat Club’s website, www.brooklynmeatclub.com, lets customers choose not just the meat they would like, but also how thick they would like their pork and beef cut. The orders are then hand trimmed to insure tenderness. In addition, they carry organic poultry and seasonings, as well as lamb and game. 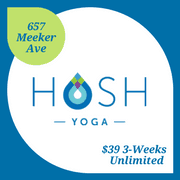 Customers that place their orders by Wednesdays at 4pm can pick them up that Saturday between 12 and 6 at Brooklyn Safehouse (120 Franklin St) in Greenpoint. Fresh, organic Thanksgiving turkeys are available for pick up both Saturday the 22nd and Tuesday the 25th of November. Clare also developed the line of seasonings, made with organic herbs, for Brooklyn Meat Club. Iníon’s Seasons has 4 different rubs that were made specifically to bring out the flavor of the meats the pair sell. Iníon is Gaelic for daughter, and Izzy’s Herb Rub, one of the spices in the line, is named for Clare’s 1 year old. 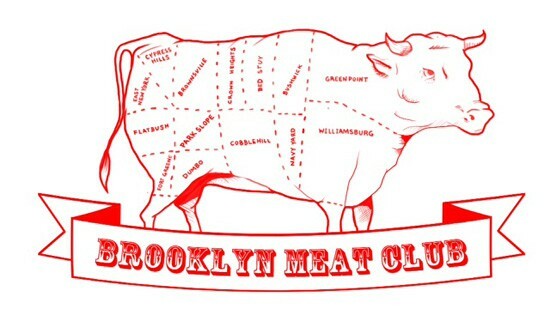 The logo for both Iníon’s Seasons and Brooklyn Meat Club, as well as all of the art on the site, were created by Brooklyn artist Nathan Chase. 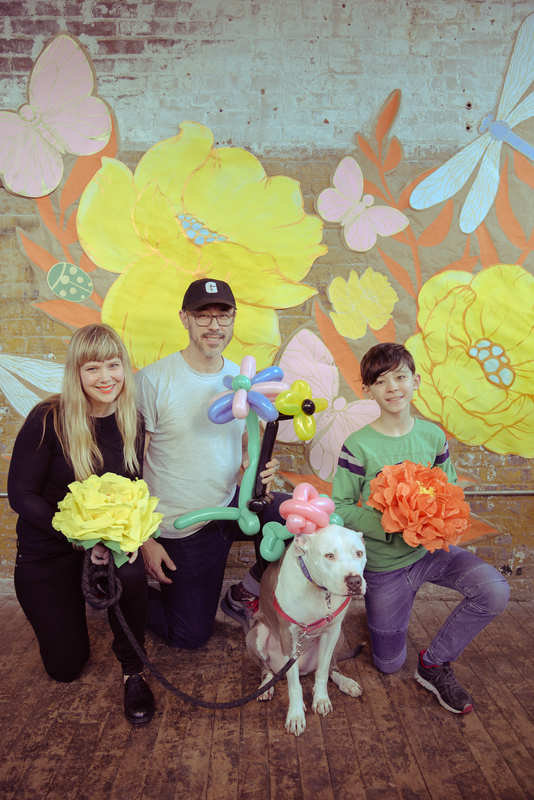 Chase, Viscarra, and Clare are all friends and residents of Greenpoint, making Brooklyn Meat Club a true neighborhood endeavor. Sponsored post courtesy of Brooklyn Meat Club.